The P38 can opener has a long history in the military. 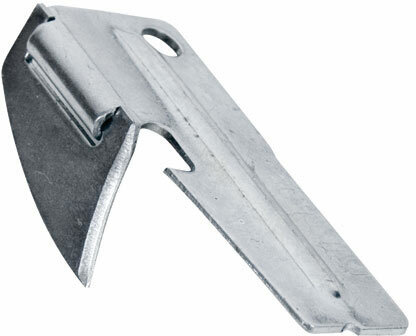 Designed as a tool to open up ration cans, the P38 quickly turned into a versatile multi-tool. Used as a screwdriver, a weapon cleaning tool, and even as a knife. As a survival instrument, having this little can opener makes easy work of getting into that can of food you just acquired. Such a small size for such a useful tool, your survival kit needs one of these. Weighs nearly nothing and takes no space. 1 1/2" X 5/8". Folds flat. Great item you can use even after it dulls!